Fitness is an integral part of your usual weekly regimen? Spending your winter holiday at Hotel Auriga, you don’t have to miss out on your training. Highly modern training equipment by Techno Gym are available for your workouts in the spacious fitness room in the spa area. Strengthen heart, circulation and metabolism with cardio training, challenge your muscles with weight training sessions and increase your endurance, for example on the treadmill or the cross-trainer. You might even want to catch up on some ski gymnastics at the onset of your ski holiday or relax and strengthen your back to counter your daily desk job. 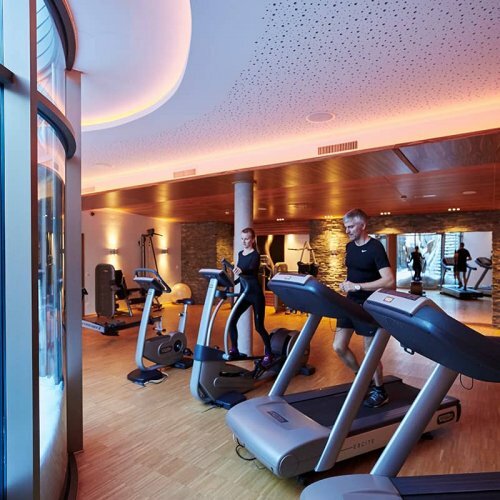 Whatever your plans are, the Auriga fitness area is open to you every day from 7 am to 7 pm as part of the indulgence half-board. 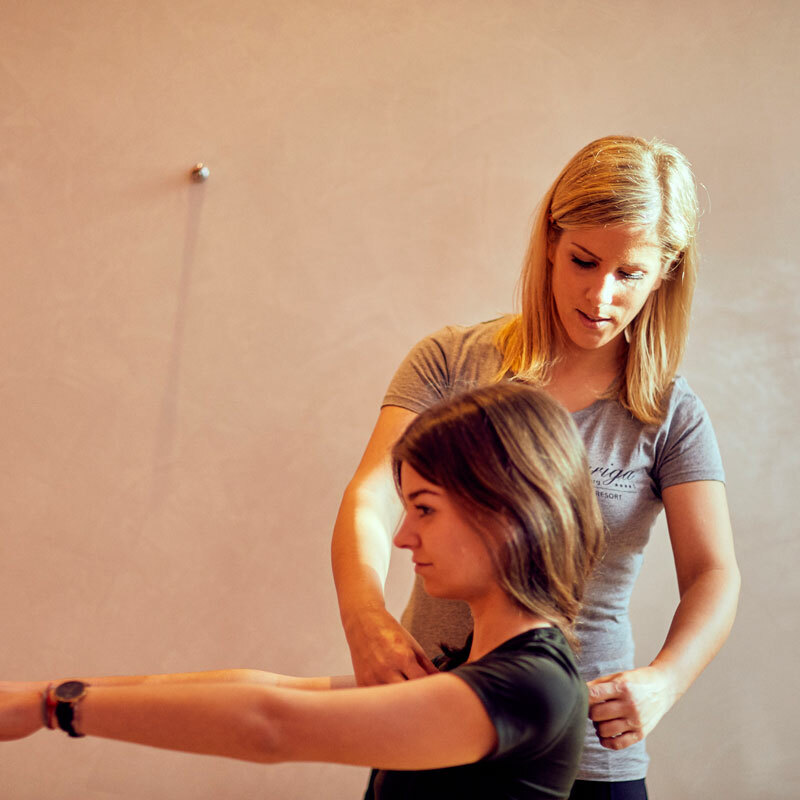 After a workout in Auriga fitness room or an intensive day of skiing in Lech, the time has come for a pleasant massage or spa treatments. Stressed muscles are loosened and stretched gently. Combined with a sauna session, sports or comfort massages constitute the ideal backdrop for your training sessions while on winter holiday. Winter hiking, skiing and cross-country skiing: exercising in fresh mountain air additionally trains your metabolism for all intents and purposes. Your body increasingly produces red blood cells in thin mountain air thereby heightening the oxygen uptake. 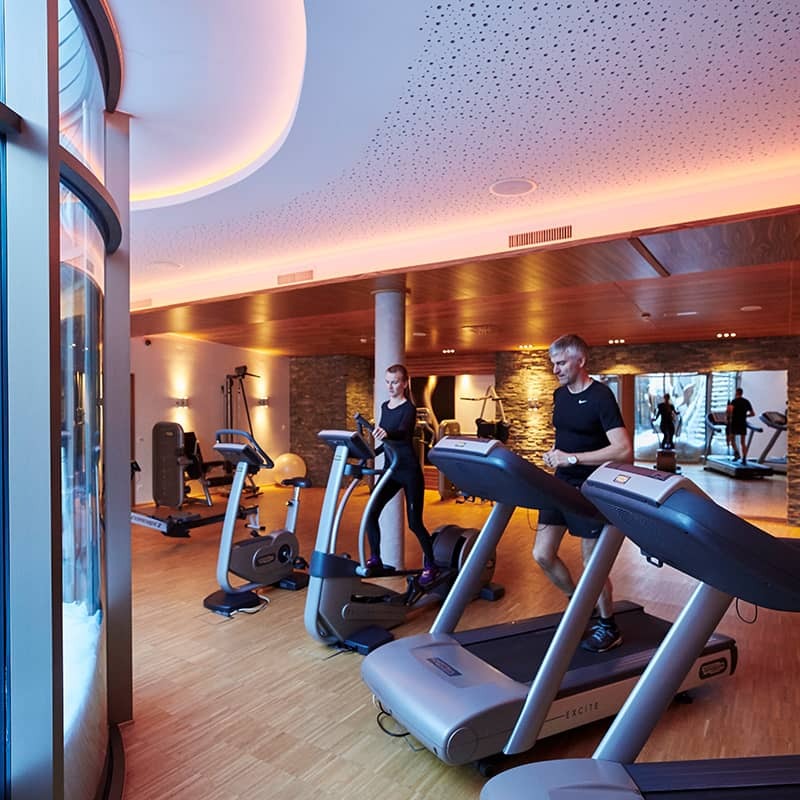 As a result, you feel fitter with every active day during your Arlberg holidays. By the way, the effect even lasts many weeks after the end of your holiday.